Geneva, December 18, 2017 – The HbbTV Association, a global initiative dedicated to providing an open standard for the delivery of broadcast and broadband services through connected TVs and set-top boxes, today announced that it has finalised and published its Operator Applications Specification. Building on HbbTV 2, the specification allows TV operators, in partnership with TV manufacturers, to provide an operator-branded experience as an application on TVs. This application acts as a “Virtual Set Top Box”, providing effectively all the functionality of a Set Top Box (STB) without the need to install one. An Operator Application (OpApp) can run immediately after the TV is turned on. To the user, the OpApp functions just like any other source on their TV, just like a cable input or an HDMI source. OpApp can be used for any network type supported by a connected TV including Satellite, Cable, Terrestrial and IPTV. 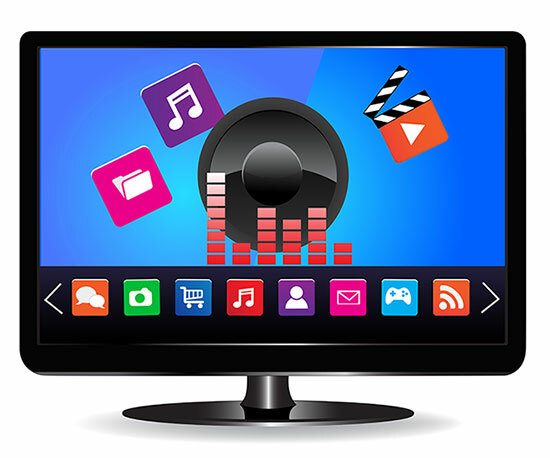 Various operators have tried solutions for deploying their user experience straight to connected TVs, but so far, such deployments have been specific to the operator and/or TV manufacturer. The HbbTV OpApp Specification provides a standard foundation that many operators can use, and that can be implemented by many TV manufacturers. Operator applications are good news for consumers, operators, broadcasters and TV manufacturers alike. Consumers can enjoy TV services on the big screen without having to install a set-top box and juggle with cables and different remote controls. Operators can provide a branded experience straight onto connected TVs, therefore they can benefit much more quickly from innovations in TVs (e.g. UHD), and can save some of the costs involved in owning and managing a set-top box population. Broadcasters benefit from a well-defined coexistence with broadcaster applications. TV manufacturers can offer more value to operators and consumers, while exploiting new co-marketing opportunities. The OpApp specification describes how the HbbTV browser can run both HbbTV broadcaster applications and operator applications at the same time. It specifies how operator applications are discovered, installed and how they can replace the TV’s native UI, including access to the TV’s remote control keys. The OpApp specification assumes that deployment of a certain operator’s application is subject to a “bilateral agreement” between the operator and the TV manufacturers. Preparations for the OpApp trials are now underway in various countries; the first of these trials are expected to launch early 2018. The specification can be found on the HbbTV website under this link.